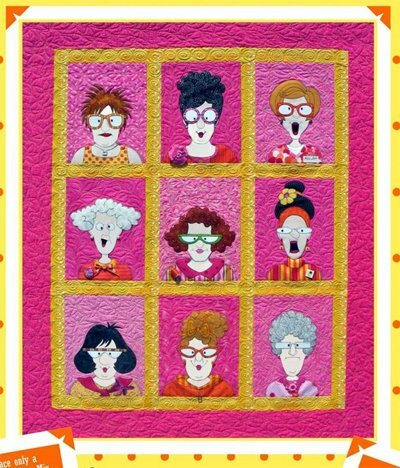 Mix and match hairstyles, glasses, features, and shirts to make your own crazy quilters. Then have fun accessorizing them with jewelry, buttons, sequins, and rhinestones. 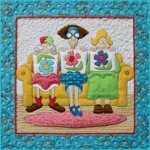 Quilters Yearbook download pattern is a 35 page pdf file that you download and print from your home printer. Includes instructions and patterns to make the 51 1/2" x 60 1/2" quilt. The technique is fusible applique.